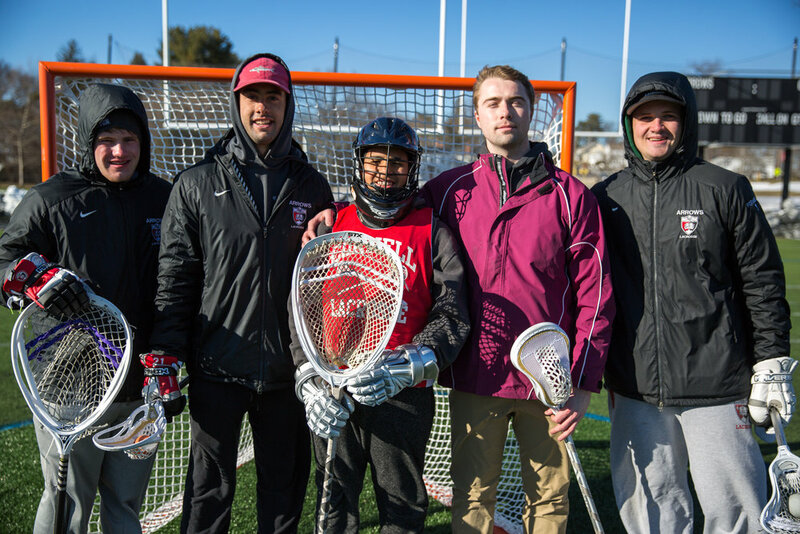 Last week, the St. Sebastian’s lacrosse team hosted a clinic for the Young Achievers boys program at their beautiful campus in Needham, MA. On a cold and windy day, the St. Seb’s coaches and players conducted a fun and energetic clinic. To warm up, HLers enjoyed individual instruction to improve their passing, catching and ground balls during line drills. Next, St. Seb’s players and HLers created mixed teams and competed in relay races, showcasing their speed and agility. To end the day, HLers participated in their first full field scrimmage of the season with St. Seb’s players coaching each position. We would like to thank St. Seb’s Coach Adam White and all of the St. Seb’s coaches and players for hosting a high energy and fun clinic!